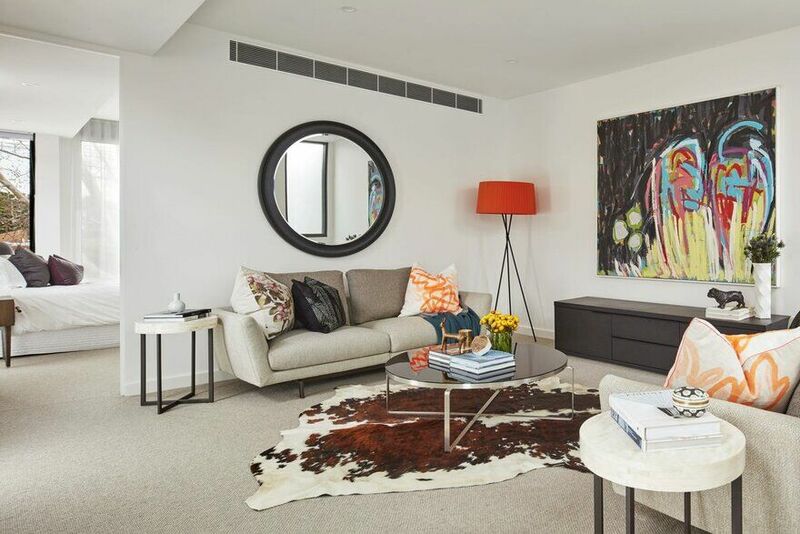 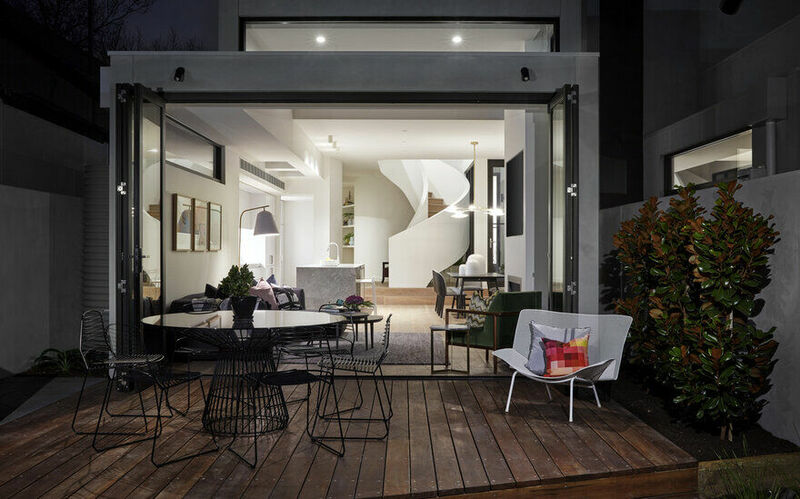 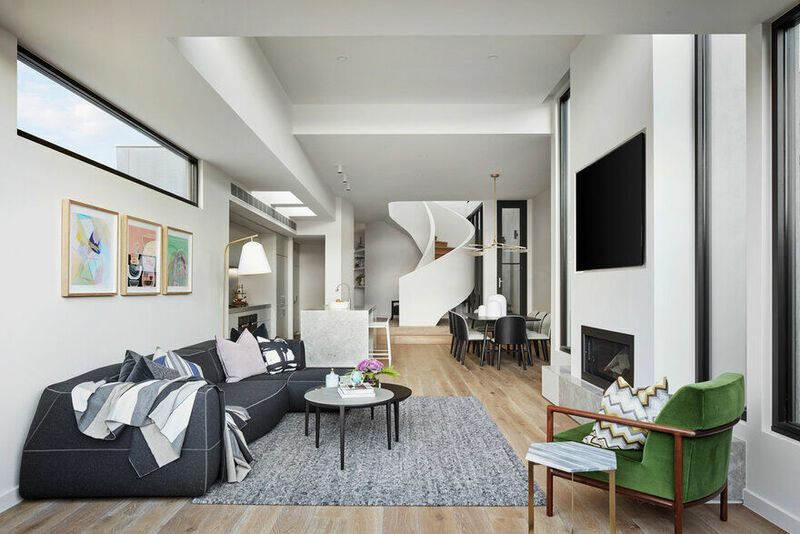 Located on a leafy established street in the inner Melbourne suburb of Malvern, two new controlled and elegant townhouses stand rigidly side by side without giving away some of the more softer elements that can be found within. 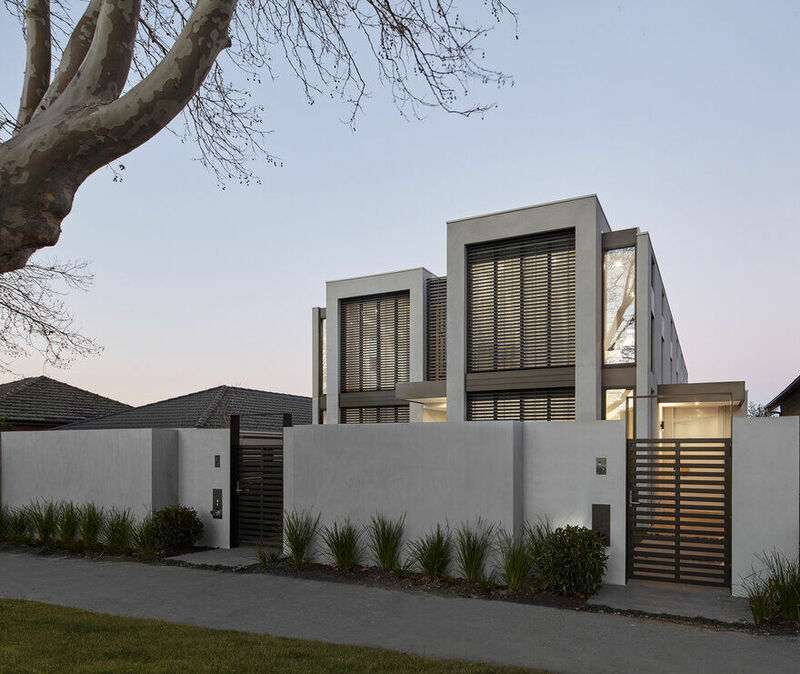 This brand new, expertly crafted town residence by Megowan Architectural offers ultra convenience in one of Malvern’s most picturesque streets. 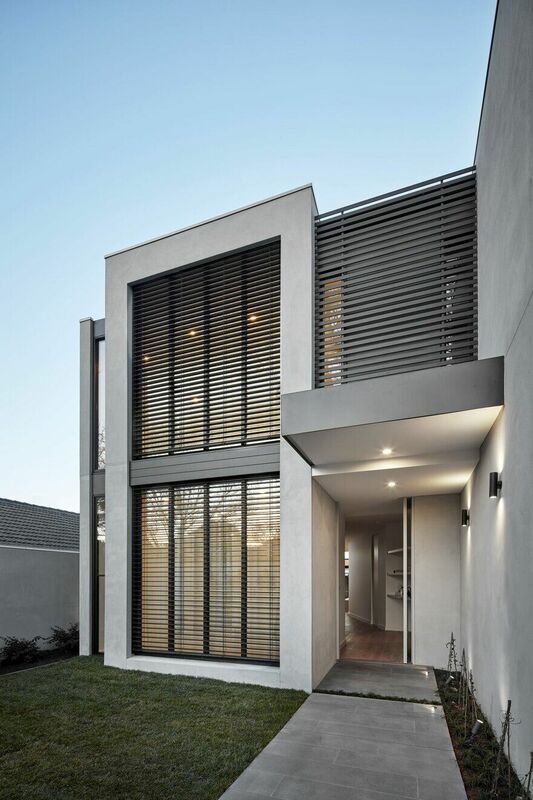 Externally, a simple and restrained palette of shale grey render, bronze aluminium and zinc sets the tone for the equally balanced and restrained interiors contained within the homes. 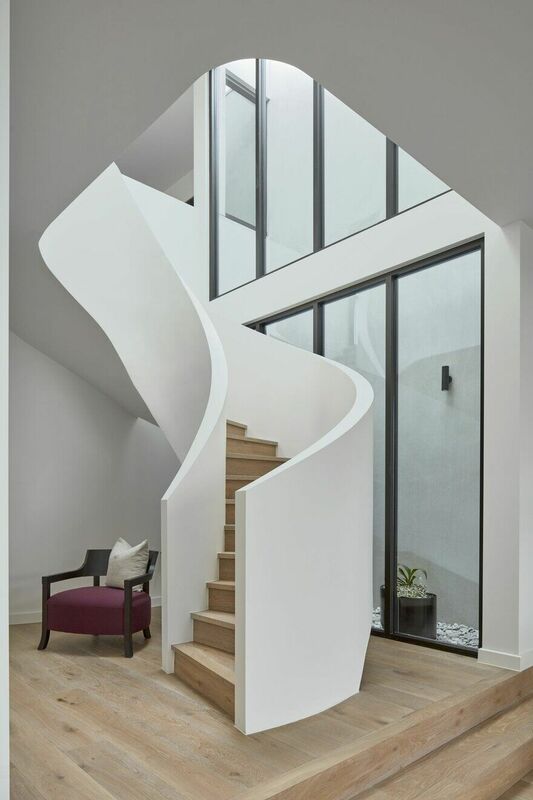 Upon entry, the orthogonal external organization unravels to reveal a sinuous set of curved walls that lead to a central sculptural spiral stair. 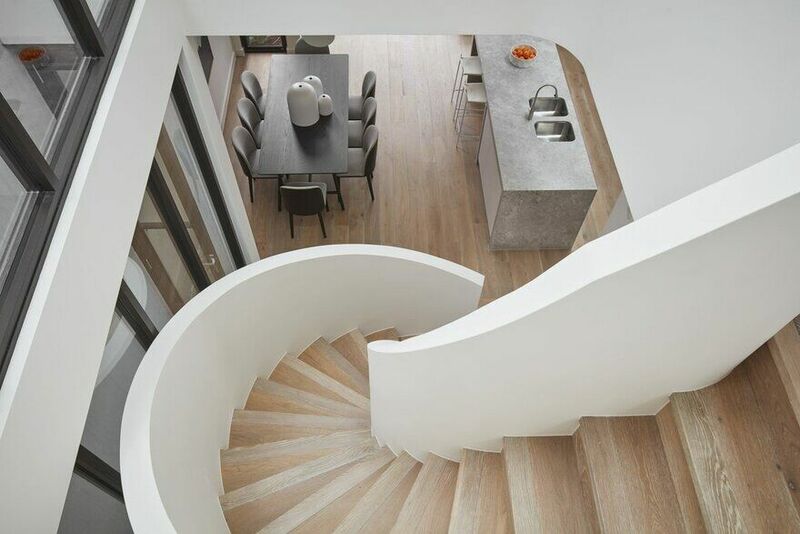 The spiral stair is located within a two storey void complete with double height north facing glazing which dramatically washes the center of each home with a beautiful display of light and shade across the various curved surfaces. 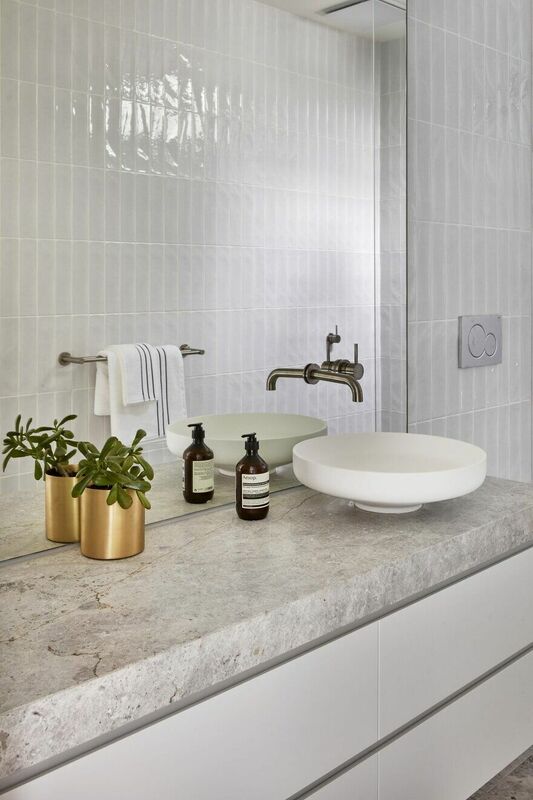 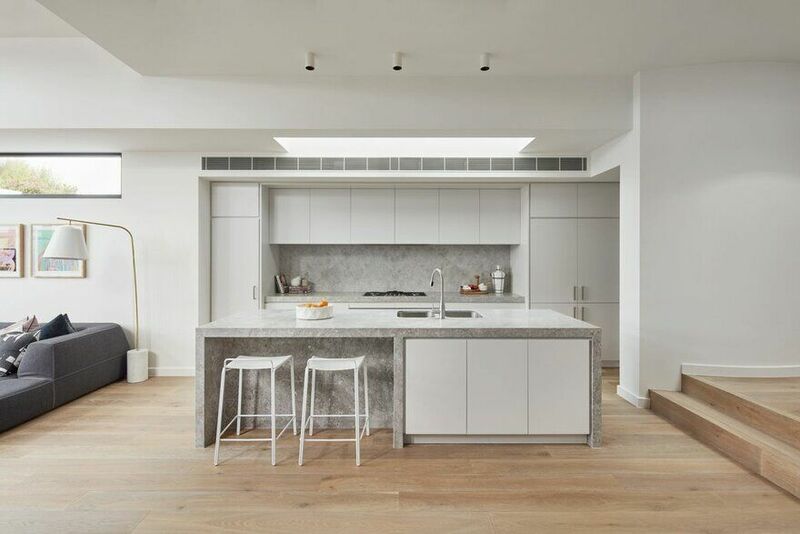 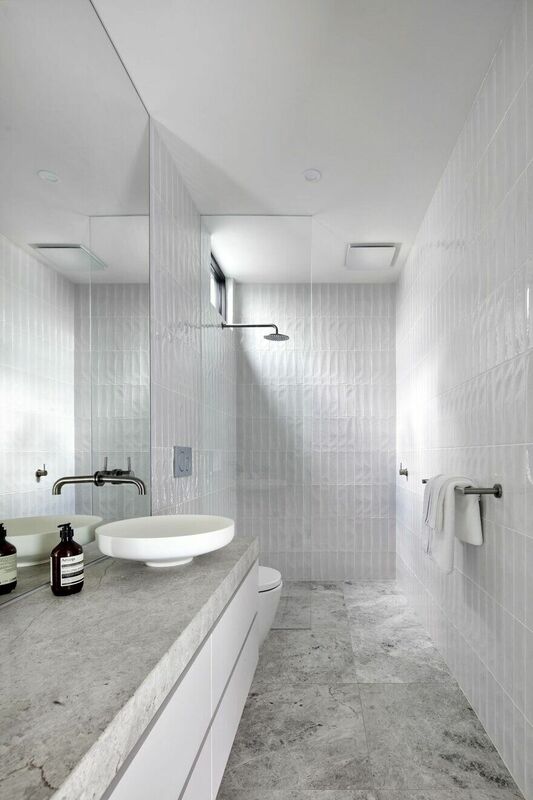 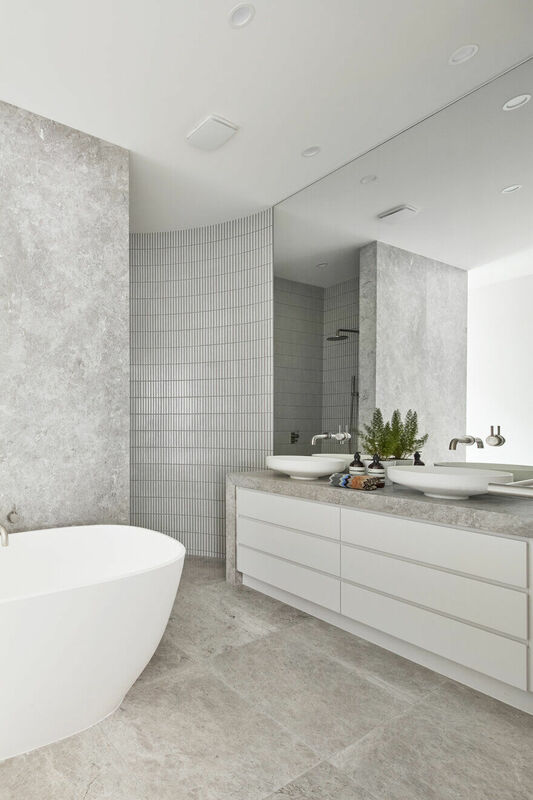 Inside, the material palette consisting of slabs of New Savoir limestone, European oak floors, brushed nickel fixtures, Silkwort (a very light grey) joinery, and Japanese glazed ceramic finger tiles create an atmosphere that is sophisticated and restrained in its repetition. 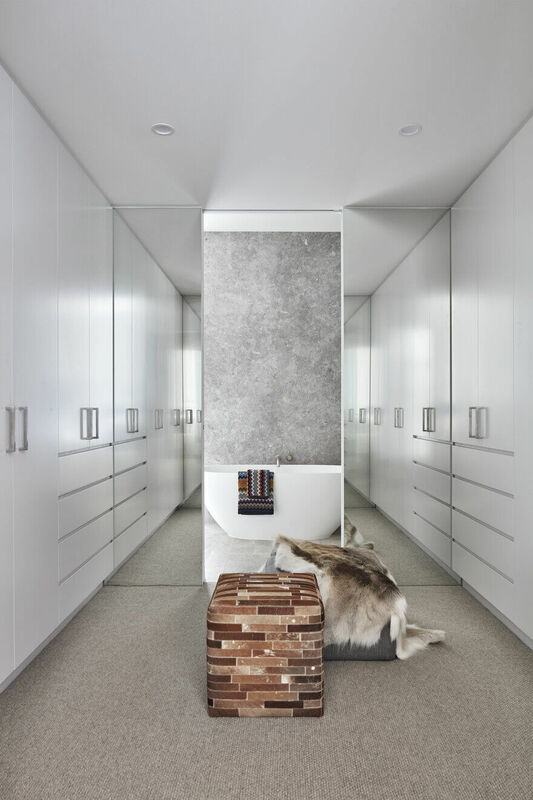 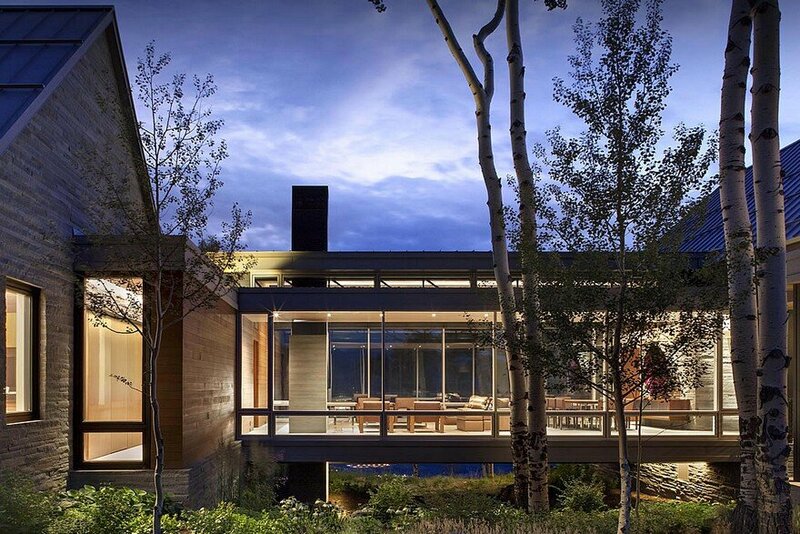 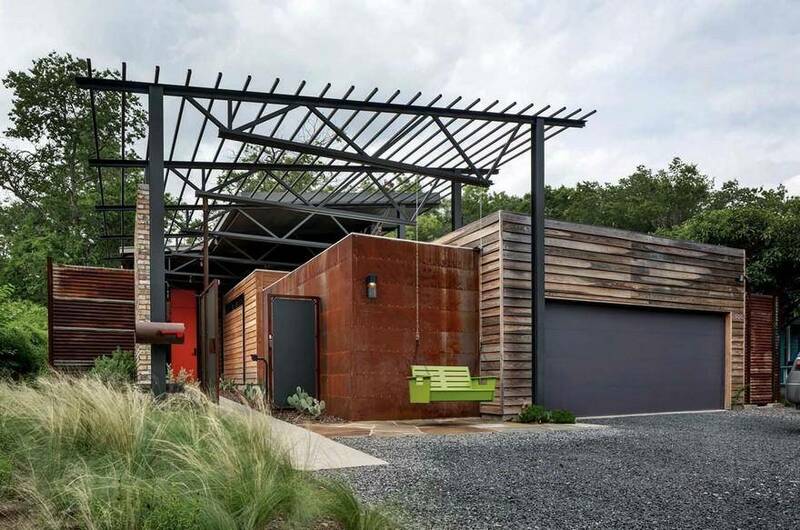 This material consistency allows for the spaces, volumes and light of each home to become the distinctive features. 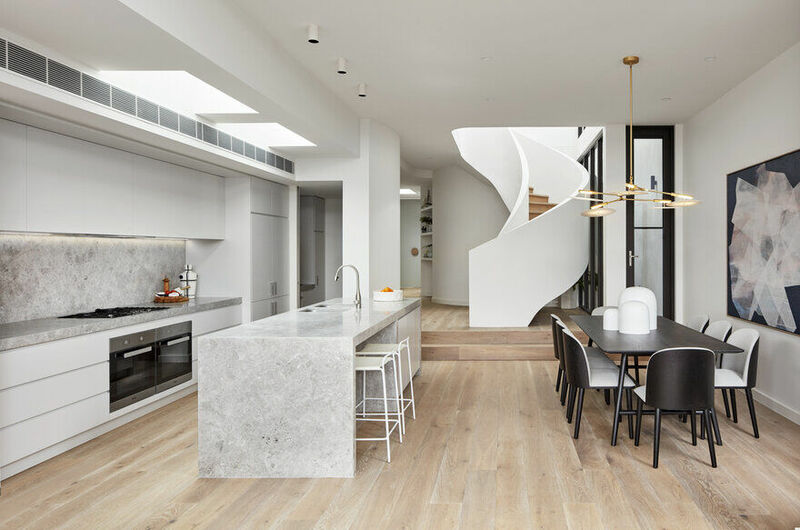 In addition to the previously mentioned double height void, skylights, light courts, clerestory windows and up to 3.6m high ceilings were all strategies implemented to ensure that the southern townhouse in the pair would receive near equal levels of natural daylight to the north facing home. 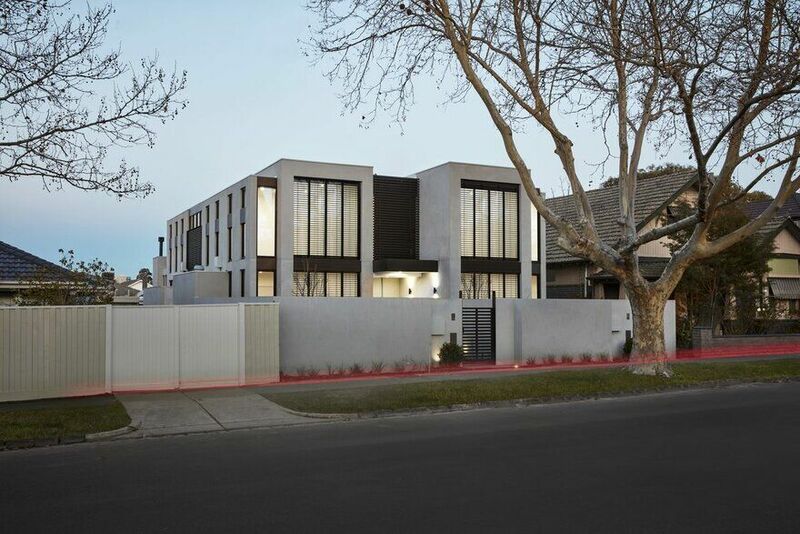 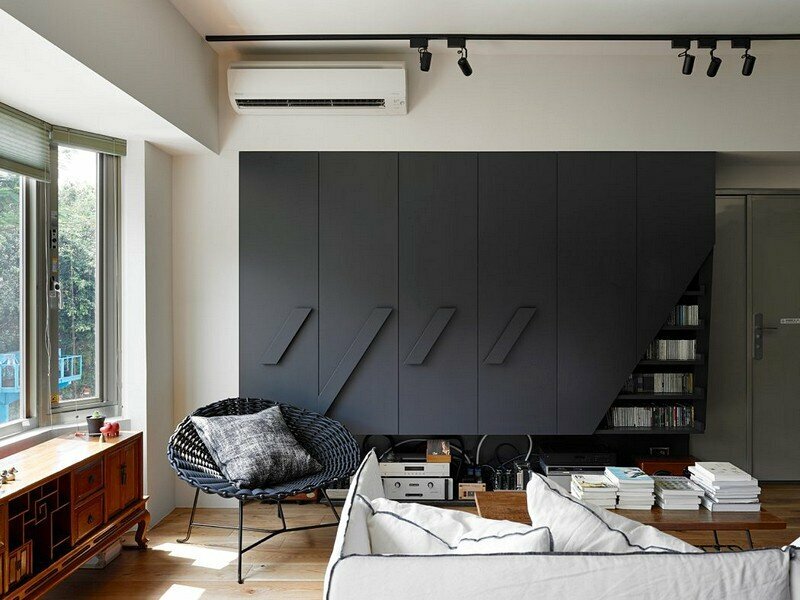 In doing so, the design for the Cressy Townhouses was able to make efficient spatial use of the site without the compromise of daylight so often found in the semidetached typology. 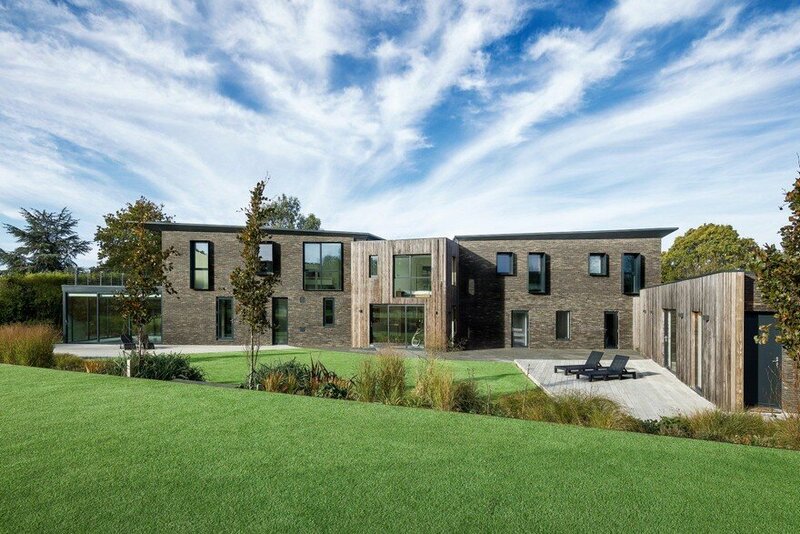 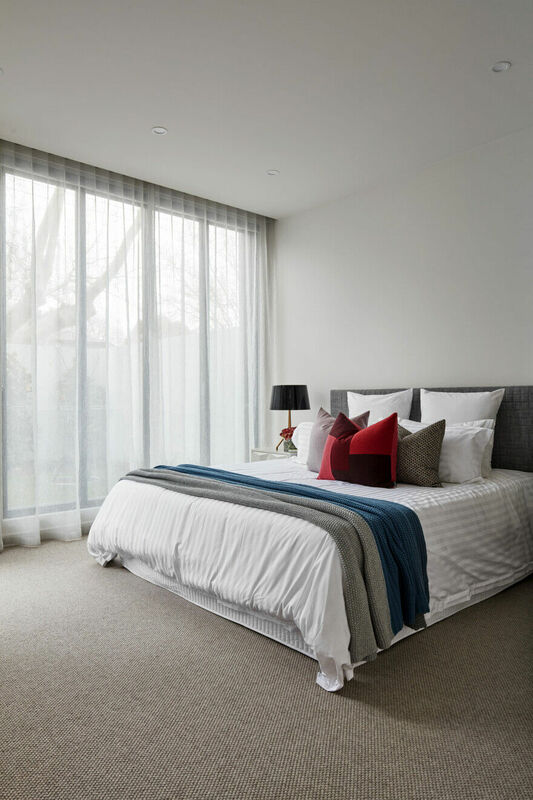 Floor to ceiling windows and doors, external blinds, fixed perforated and horizontal screens and internal shear and block out curtains recessed into pelmets all help bring different levels of dappled light deep into each room. 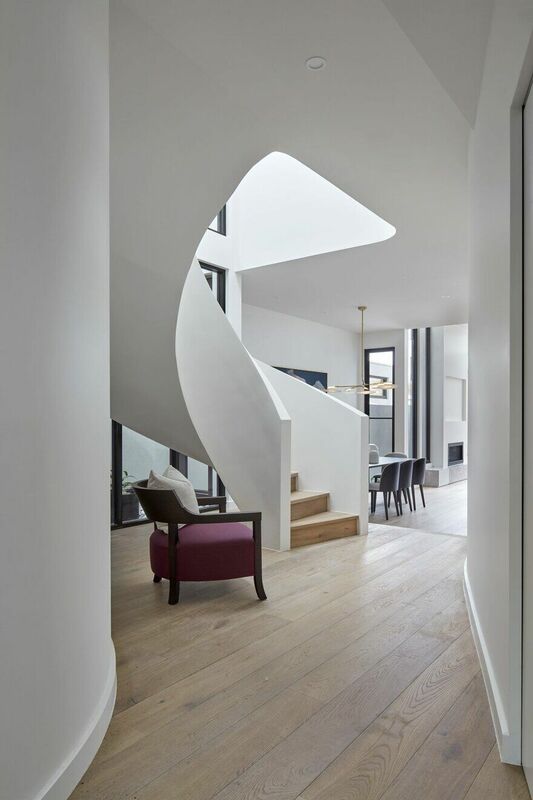 In large part, the success of the Cressy Street Townhouses, like all good pieces of architecture, is in the way the natural light becomes a sculpted and manipulated material within the spaces that emphasizes and animates the juxtaposition between fluid and rigid forms.